Social Media, Networking, and Networks — Open Source Strategies, Inc.
Eric Qualman‘s talk in Atlanta earlier this month got me thinking some more. 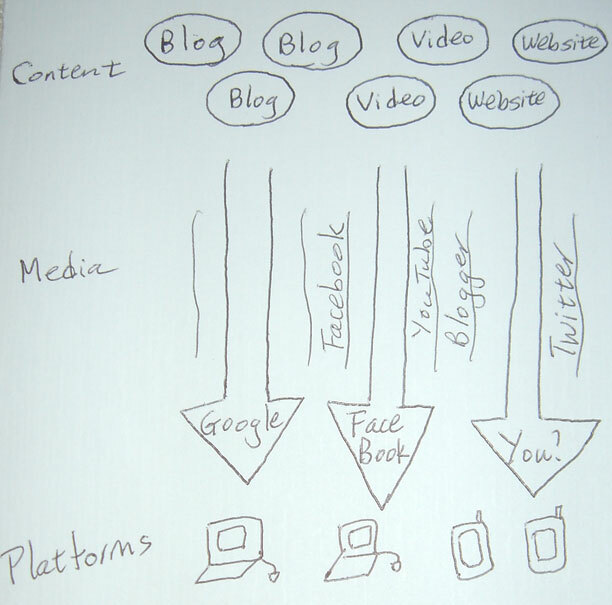 I started to play with words: “social media,” “social network,” “networking”…what did it all mean? Interestingly enough, after a while the words themselves revealed a pattern. Here are my notes on hotel stationery which I’d like to share with you. platforms to view the content. The most common platform was the TV, and then later VHS (remember those? ), DVD’s, TiVO, and now Hulu showed up. And networking was the act of gathering up content for distribution. Power breakfasts at the Peninsula Beverly Hills, next to the old CAA building. So what does it look like today in the social media world? And now: networks are still the aggregators of the content. Google does it with search. Facebook does it with the friends network. But anyone can do it in this day and age — even you. Just start gathering up the content I’ll like and broadcast it on your blog, Facebook page, or Twitter, and I’ll join your network. networking with all the bloggers, twitterers, and movie makers (or open source projects) out there. I think the same will be true of the new social media world. Ten years from now, we’ll be glad to have our iPhones and tablets and use Facebook and Twitter, but what makes our lives better day in and day out–and what we will pay for day in and day out–will be great content producers and the networks, big and small, which gather them for us. Actually, everything. But let me save that for a future post. As a “content producer” for both traditional outlets (radio) and new media (twitter, blog, etc) I’d really like to embrace your vision of the future, but I’m just not that optimistic. Good to hear from you again! The bit about Aaron Spelling is a little LA humor. I hope nobody is offended. Do some content have inherently more monetary value than others? For example, would I make more money if I wrote a blog about real estate finance instead? 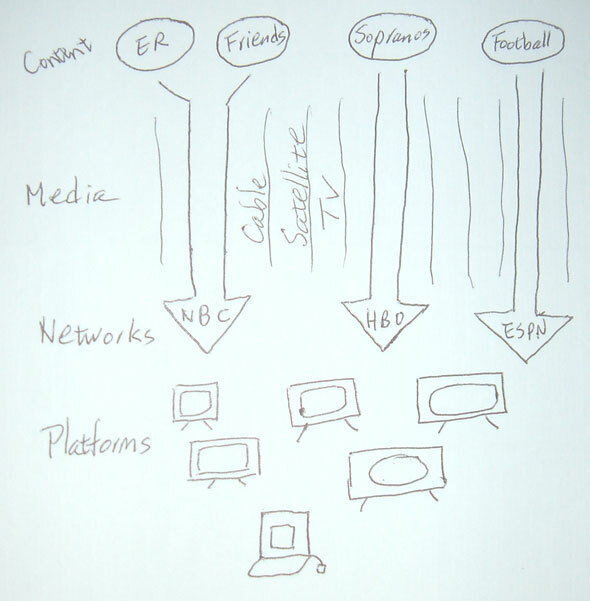 Can the value chain for monetizing content be improved? For example, is advertising an inherently inefficient model for connecting content and commerce? Again, I don’t have the answer, but thanks for asking a tough yet thought-provoking question.